The finest jams with 80% minimum of real fruit pulp inside. 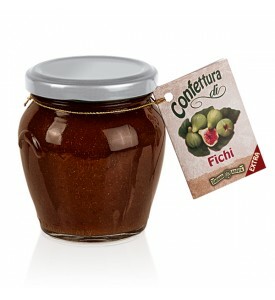 Real Italian fruits, real Italian jam. Ingredients: Chestnuts 80%, honey and sugar. 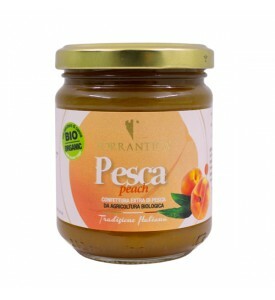 Ingredients: Peaches (115gr of fruits for 100gr of product), brown sugar. 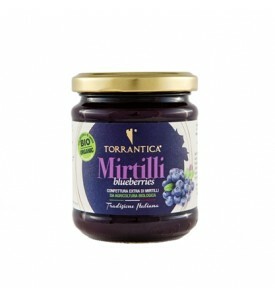 Ingredients: blueberries (110gr of fruits for 100gr of product), brown sugar. 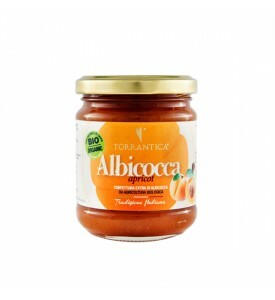 Ingredients: apricot (115gr of fruits for 100gr of product), brown sugar. 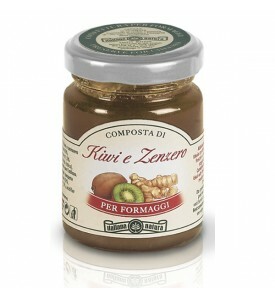 Ingredients: Kiwi 65%, sugar, ginger, 1.5%, acidifier (citric acid). 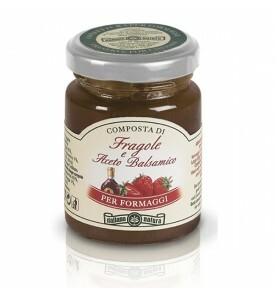 Serving suggestions: Ideal with fresh and seasoned cheeses, Asiago, Fontina, Taleggio, Pecorino cheese. Ingredients: Tomatoes (70%), sugar, acidifier (citric acid). Serving suggestions: Ideal with cheese at medium and long aging: Asiago, Pecorino Cheese, Trentingrana, Taleggio. Ingredients: Oranges 70%, sugar and rum. 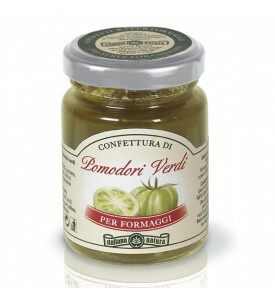 Serving suggestions: Ideal with medium-aged cheeses, goat cheese, Gorgonzola, Parmesan, Pecorino cheese and herbed cheese. 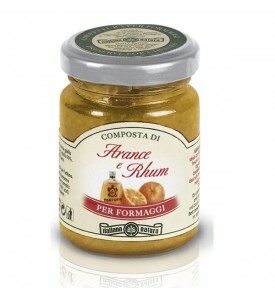 Ingredients: Pear 70%, sugar, balsamic vinegar. 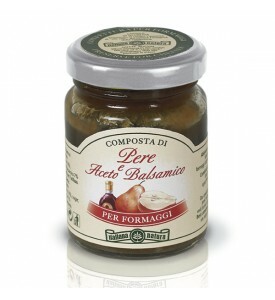 Serving suggestions: Ideal with Parmesan cheese, Pecorino cheese, Trentingrana, goat cheese. Ingredients: Red onions 60%, sugar, acidifier (citric acid). 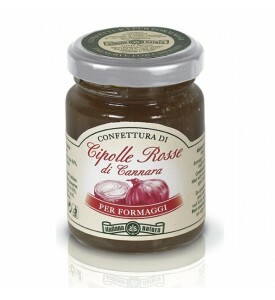 Serving suggestions: Ideal with medium-aged cheeses, goat cheese, Gorgonzola, Parmesan cheese, Pecorino cheese. 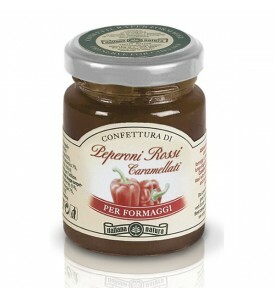 Ingredients: Red pepper (70%), sugar, lemon, caramel, acidifier (citric acid). 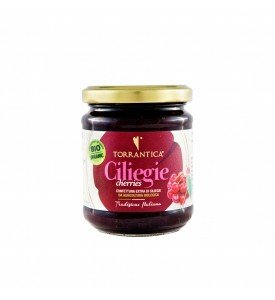 Ingredients: Strawberries 65%, sugar, balsamic vinegar 7%, acidifier (citric acid). Serving suggestions: Ideal with cheese at medium and long aging, goat cheese, sheep cheese, Trentingrana, Parmesan cheese. 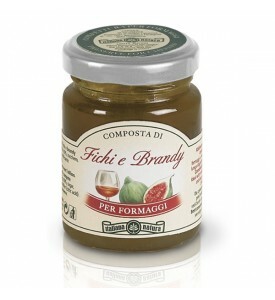 Ingredients: Figs 60%, sugar, brandy, 7%, acidifier (citric acid). 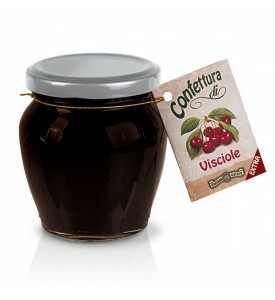 Ingredients: cherries (130gr of fruits for 100gr of product), brown sugar.